This time underpants are favoured by pirates. There is a treasure involving gold underpants and like any good pirate story the treasure is found by following map, heading out on a quest. The thing is not just one group of pirates are after this treasure. Another addition to the very popular ‘Underpants’ series. If your kids loved the others they will love this one. 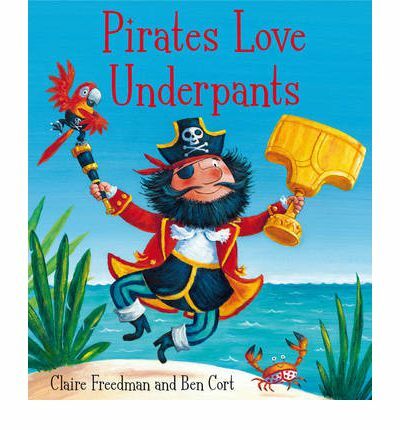 It has all the strengths of the previous books: fun, rhyming text; bold and appealing illustrations, in addition to this are various pirate cliches. One night Mouse convinces Cat and Dog to go with him up to the scary-creepy house that is on the bumpy-steepy hill. They are on a Snortle hunt. It is dark and creepy and a little bit scary as they make it to the house, and then inside. They climb up the stairs looking for the Snortle but what will they do if they actually find one? More to the point what will the Snortle do to them? This is a wonderful, spooky little tale about rumours, adventures and courage. 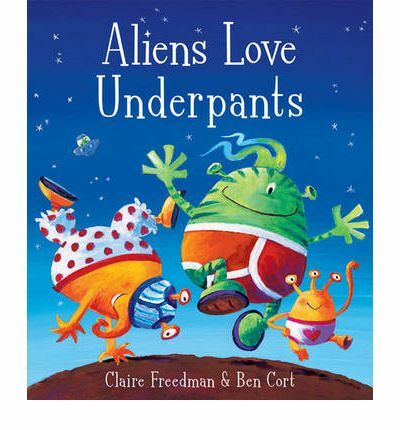 Claire Freedman is the author of the Aliens Love Underpants series and brings her wonderful sense of fun (though it is more subtle than the Underpants books) to a new set of characters. The text is simple and rhymes, which children love, and the quantity of text makes it great for younger listeners. Hindley’s illustrations are quirky and expressive. 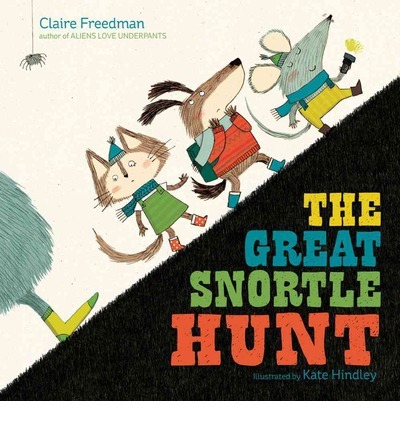 A great book that really isn’t all that scary, especially when you get to the Snortle. I thoroughly enjoyed this book. There aren’t any underpants in space but aliens love them they think they are great fun. So when aliens decide they have to have some underpants they come down to earth. Really the title of this books says it all. It tells you right away that this is going to be silly and fun. It is enjoyable text that rhymes and the illustrations are bold and equally as silly. 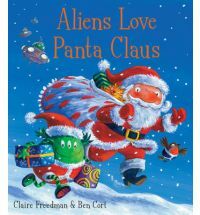 A great choice for children who like aliens and things related to toilet humour. Do you need a cuddle. Panda has fallen and she does. Penguin is lonely and she does. Lion has never, ever had a hug. We all have times we need a snuggle or a hug. 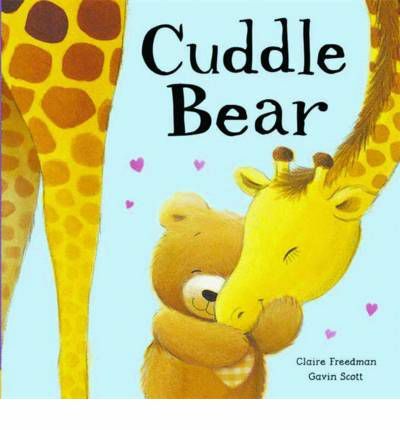 Cuddle Bear is there for all these occasions. Cuddle Bear is a hug-you-happy bear. Not much needs to be said. The story follows different characters, all in need of a hug for different reasons. The text simple, with easy rhymes. The illustrations are big, warm and friendly. All in all an appealing book. Those underwear loving aliens are back and this time they want to spread their joy around. They head to the North Pole to give out many different and wonderful types of pants. Then something goes wrong and it is up to the aliens to help Santa Claus. Another fun book with those silly aliens. Staying true to form the text rhymes, the story is simple, silly and as always entertaining. Cort’s illustrations perfectly capture the silliness of the story and are bright, bold and appealing. Fans will love it and if you are looking for a Christmas book with a bit of a difference then give this a try.